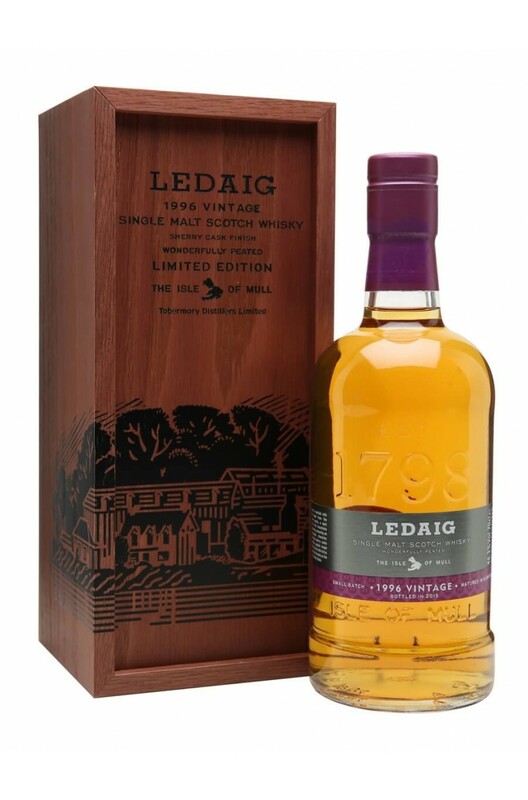 The Ledaig 1996 was finished in Oloroso Sherry casks and bottled in 2015. Produced at the Tobermory distillery on the Island of Mull, the 'Ledaig' is their peated expression which they make for six months of the year. Naturally the smoke is more subtle than the 10 Year Old but there is still plenty of charcoal, dried fruit and spice flavours. Distilled in 1998 at Tobermory distillery and matured in refill sherry casks. This is the peated ..